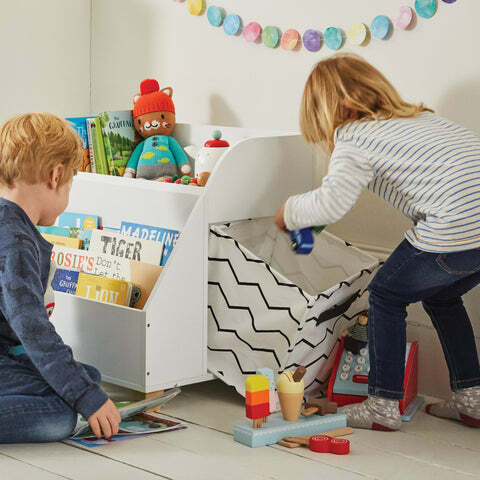 Gulliver Toy Organiser | Great Little Trading Co.
Meet our new friend Gulliver; his big skill is storing a mix of toys and books neatly but within reach. 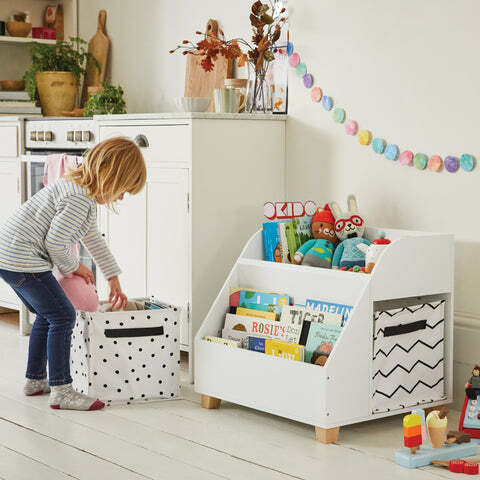 Children love the different sections and that they can unpack the toys themselves; we love that it's just as much at home in your kitchen as in a nursery or bedroom. The whole point of this product is that it's used by children themselves, to find toys for play or to put them away come bedtime. That’s why we've made sure it's really sturdy, and why we've subjected it to strict testing to make sure it won’t break or topple. 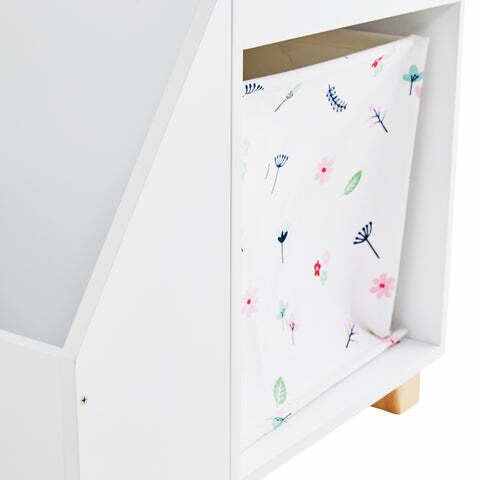 Add two of our Rope Storage Baskets or our Canvas Storage Cubes to create a unique look for your Gulliver Toy Storage. Team it up with one of our Children's Rugs to zone off a cosy play area.